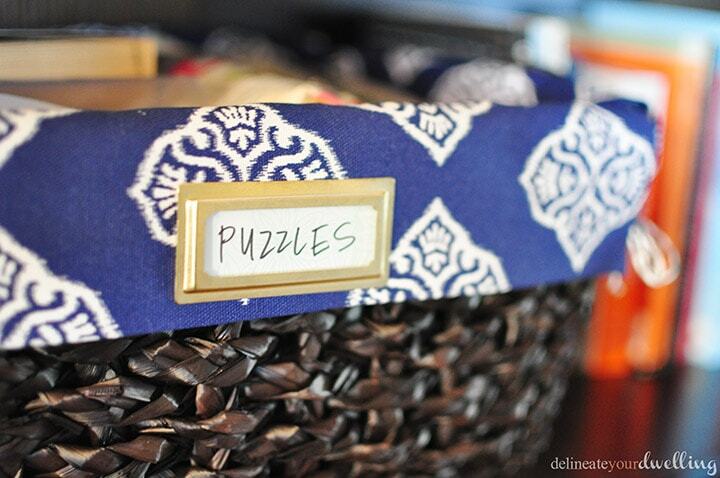 INSIDE : 9 easy tips & simple ways to Organize areas of your Life and Home. You will find helpful tips on things like organizing your kitchen cabinets, the best things to throw out & dealing with organizing your linen closet! If you have been around Delineate Your Dwelling for long at all, you know I like running an orderly home. Having a place for things and a system for keeping our life and home somewhat organized makes me feel like I can breathe a bit easier. That by no means means that things are always in their place, quite the opposite really… I have two small children. Our home and life is a work in progress and I am continually teaching my children the lessons learned by being organized. 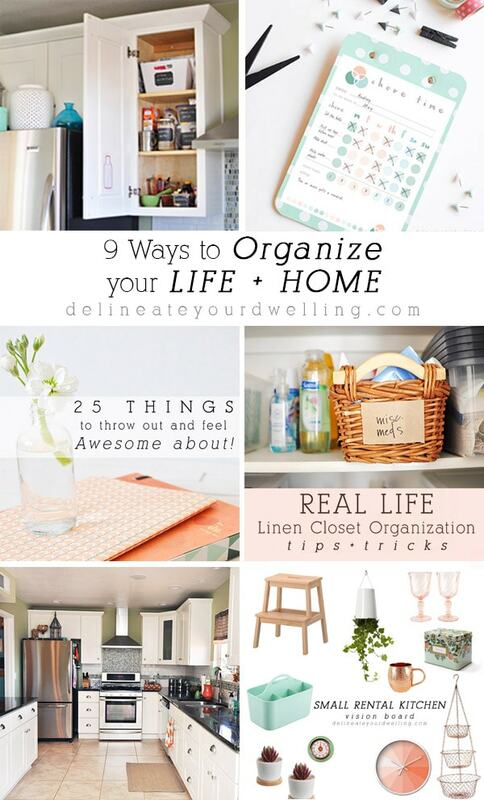 SO, today I am sharing 9 Ways to Organize your Life and Home because it’s all about baby steps and balance and starting where you can! Let’s start today’s organizing off with a bang! 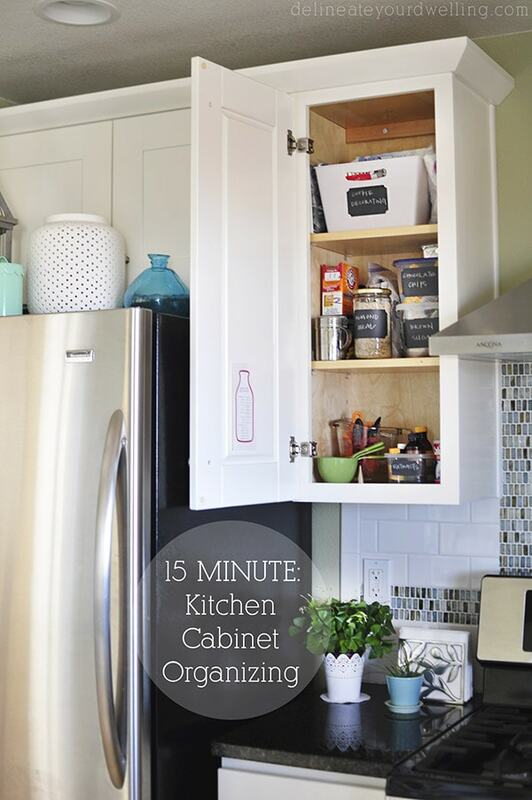 15 Minutes to cleaning out and organizing your kitchen cabinets! Now, I’m saying 15 minutes per cabinet, so don’t think I’m crazy. But guess what, it can totally be done… it’s just one of those tasks that feels daunting and therefore you simply never do it. Today is the day, take the challenge. I spoke earlier of having two small children. I never think it’s too early to start teaching responsibility and work ethic, so my kids started having age appropriate chores as early as 3 years old. It was simple like taking their plate to the sink, but it was a start! 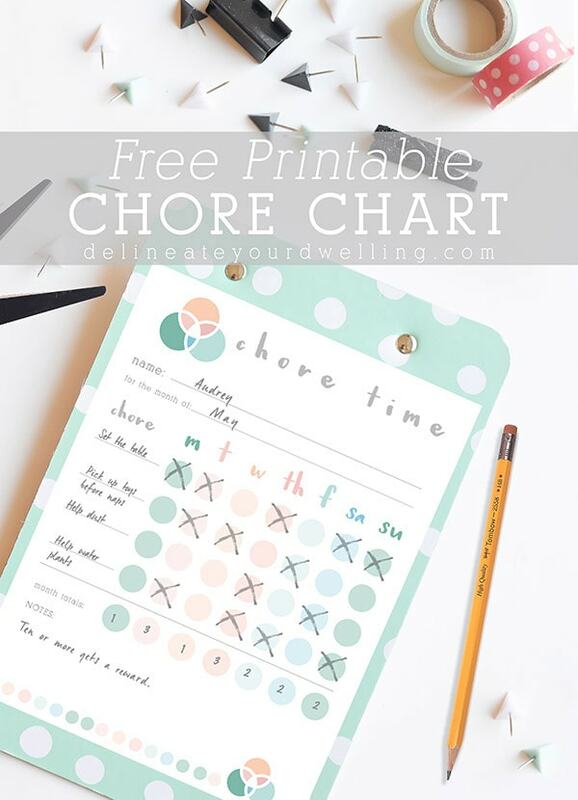 Here is a wonderful Free Printable Chore Chart that helps us stay on track. Often having extra space in your home is a glorious luxury that not many of us have. One of my favorite things is to go through closets, drawers, games, etc… and purge. I create piles to donate to various local organizations. 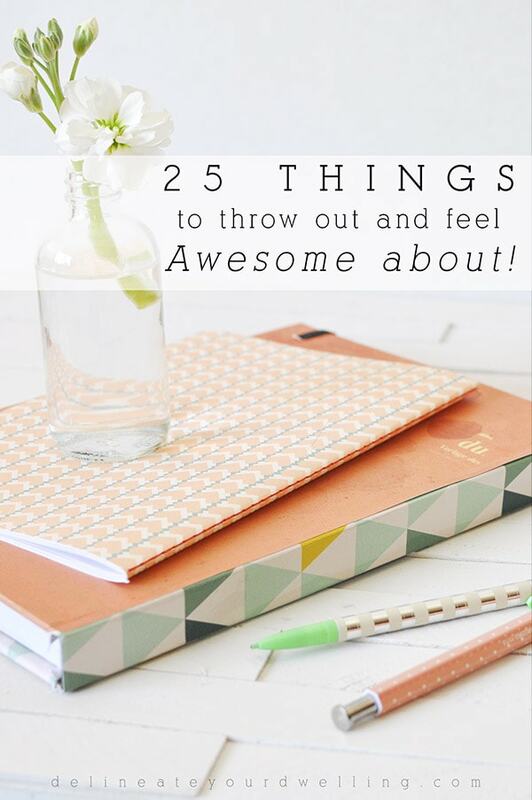 Check out these 25 things to throw out and feel awesome about (and you probably won’t even miss) because I have a feeling whether you have the extra space or not, we all could do with a little less! I’m here today to share that you don’t have to “pinterest perfect” EVERYTHING in your life. Sometimes you just need some good ole’ fashion organizing tips to make some sense of those unseen and unsightly closets. 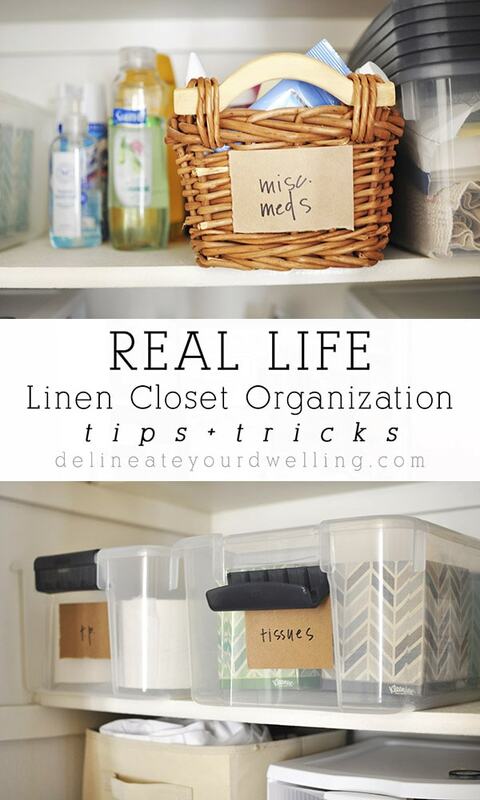 Check out my Tips + Tricks to my REAL LIFE Linen Closet Organization. 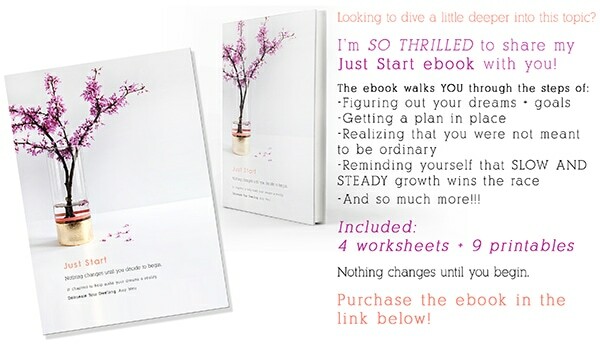 If you are ready to start afresh and take back your life, you might be interested in my ebook, Just Start. Because nothing changes until you begin! Ask anyone where they spend the majority of their day and entertain the most and you will hear, “The Kitchen is the heart of our home” over and over again. And yet, it also becomes the dumping ground for mail, dishes, flowers, keys, etc… I shared how I had organize my kitchen cabinets in our previous home. This is by no means the only way and sometimes you just have to work with the kitchen space you have available. Believe me, we had the WORST kitchen for six years before tackling a renovation. You can read about it here, here, here and here. AND now our rental kitchen is literally 5’x5′ but the good thing is you can organize your kitchen cabinets no matter the size! 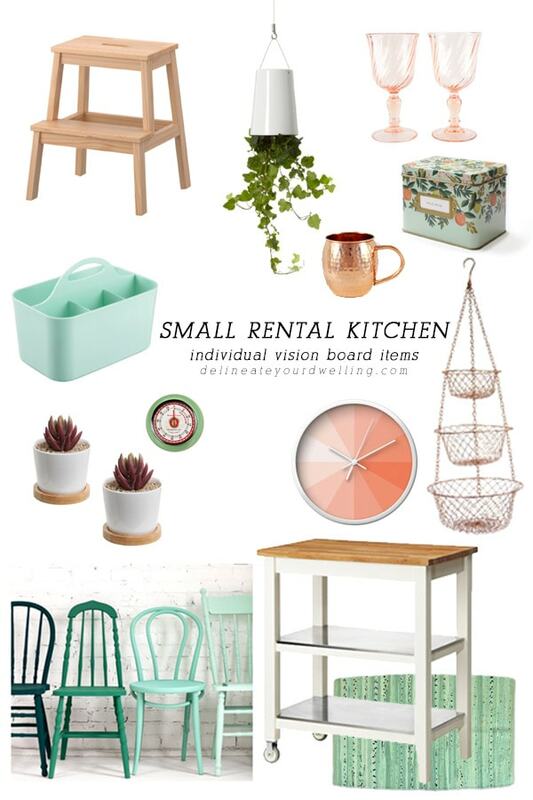 And speaking of small rental kitchens… you can make those work too! AND they can be pretty without remodeling. I shared my vision of what our rental kitchen could be and then eventually how with a few rental and budget friendly ideas, it will have a whole new look. There is something about pencil and paper that speaks to me. I am constantly scribbling notes and lists on spare pieces of paper, but no longer! 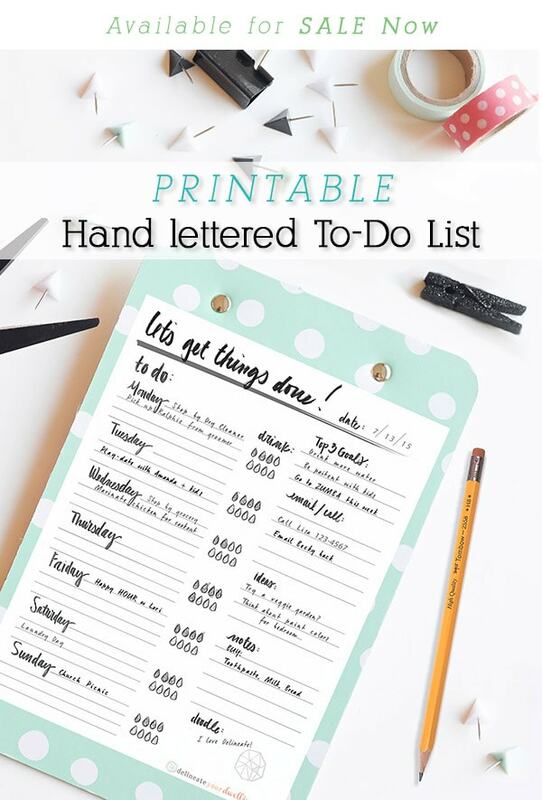 I created a lovely hand lettered instant download To-Do List. 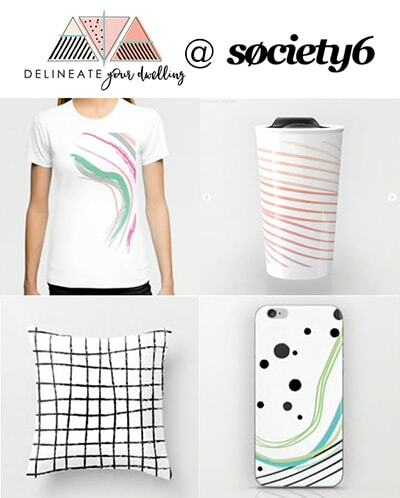 And the best part, it’s available for unlimited printing, after purchase. You can even hole punch to keep your to-do lists organized in a three ring binder. When my kiddos were 2 and 3 years old, I had a serious living room / toy overhaul and hid 70% of their toys. It worked like magic and I suggest until your children are older giving it a try! Now all their toys are available to them to play with but they are older now and know how to help clean up. 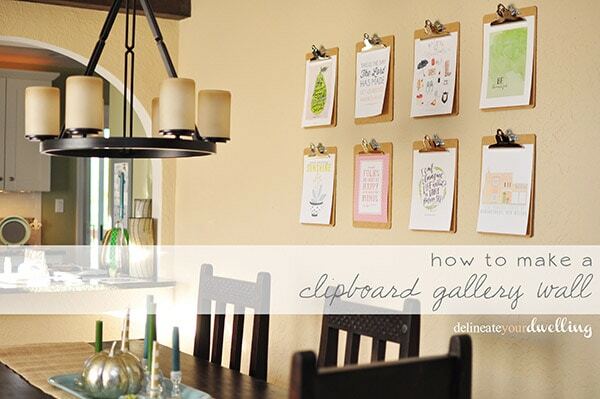 One of my favorite tips for organizing life in a pretty way or even just displaying art work is… Clipboard Gallery Wall! I have had them hanging in my home for the last 3+ years and they aren’t going anywhere soon. 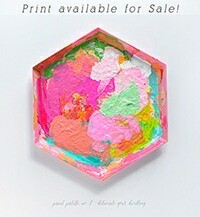 They could easily also display your children’s artwork, homework, inspirational quotes + verses. Phew! That’s a lot of organizing so my question is this… which room will you be tackling first?